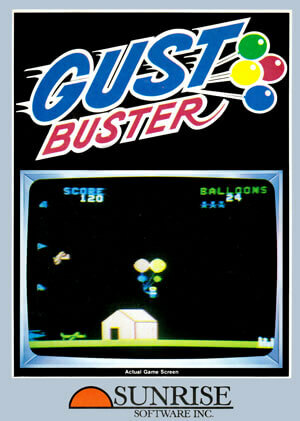 In Gust Buster, the player must navigate through the skies of an amusement park by inflating or deflating balloons. 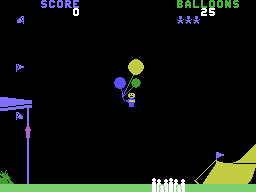 Movement is achieved by catching currents that go in different directions depending on height. 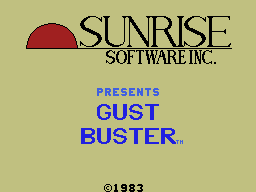 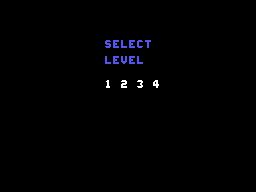 This game is notable for being one of the only games of that era not to use the joystick. 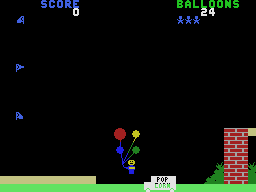 One gains points by landing in crowded areas and selling balloons, and one can restock his balloon supply by landing on a popcorn truck. 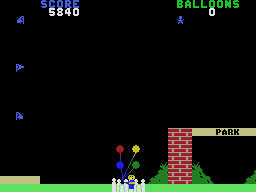 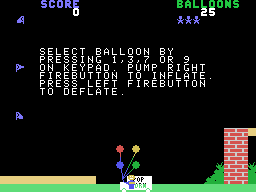 The player must be careful not to overinflate the balloons or they will bust, in which case they must be replaced by drawing some from his pocket.